Happy New Year’s Eve! I am heading down to New York this afternoon to spend the holiday with family and friends. I can’t wait for my nieces to try out their new scarves I made. (Yes! I finished both of them in record time!) 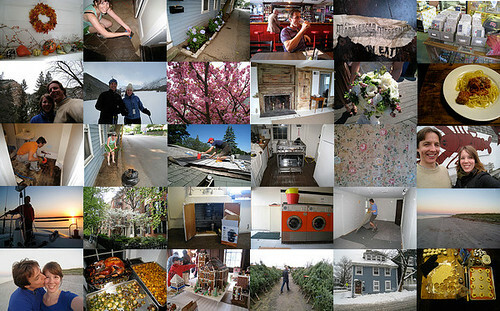 Above is a collage I put together of some of my favorites memories from 2008. I wish you all love, happiness, and success in 2009! best to you too! hope you had a wonderful new year's eve! Happy New Year. I love your blog!